Ever felt like a fraud? Wondering why YOU should sell your products? Thought you weren’t good or talented enough? Welcome to the world of entrepreneurship! That little voice in your head? That’s Mr. Imposter Syndrome… and he’s not the best of friends. 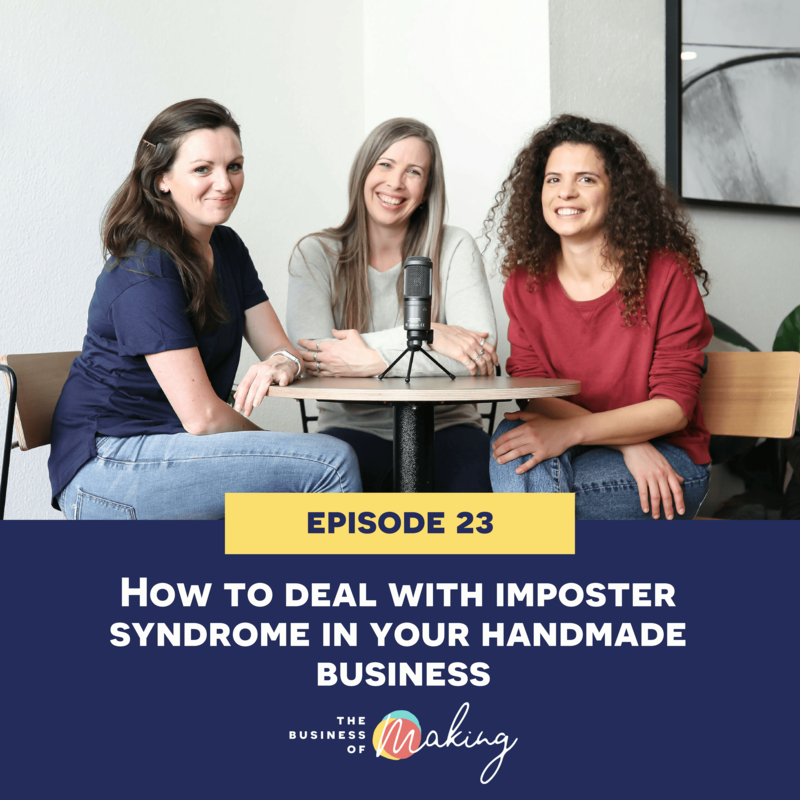 We ALL struggle with imposter syndrome, and (spoiler alert) it doesn’t go away as you get more successful – which is why this week we open up about how we deal with it and hope this will give you some good tips! Almost all of us deal with imposter syndrome at some point in our lives and you should know that you are not alone in this. Learn more about our thoughts on what imposter syndrome is and what we have done to try and overcome it. We are not trained psychologists in any way but we are here to share our experiences and opinions on how to be courageous in times you doubt yourself and ask yourself who you are to do the thing that you do. Because why not you? You might just not be there yet but you will get there. “Big magic” by Elizabeth Gilbert.